It's been a busy afternoon for the Pittsburgh Pirates. 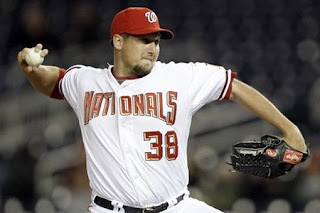 Hours after trading Eric Hinske to the Yankees, the rumoured trade between the Bucs and Nats finally happened. 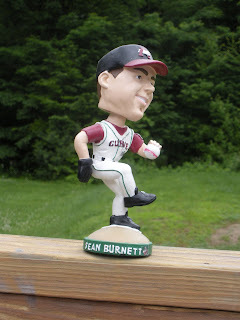 The Pirates traded fan favorite Nyjer Morgan and lefty reliever Sean Burnett to Washington for OF Lastings Milledge and relief pitcher Joel Hanrahan. Morgan's personality will be missed but this can turn out to be a great trade for the Pirates. 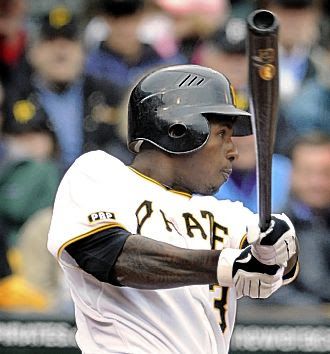 With Andrew McCutchen in the lead-off spot, Morgan became trade bait. He's almost 29 years old and having what might be a career year. The Bucs are short on power and Milledge has more pop in his bat. This will be Milledge's third team. He's only 24. Milledge is known more for his off field problems than his play. He seemed to have a problem with just about every member of the New York Mets. Hey, so do I! He also has been benched a few times for being late to games. Yes its a risk, but a risk worth taking. Milledge once appeared in a controversial rap song with strong language. Really? Strong language in a rap song? I only listen to Christian rap. If that's the worst thing he did, get over it. This part of the trade confused me. Burnett has been pitching well for the Pirates. I guess they had to give up a little more to land Milledge. Another bobblehead forced to the back of the shelf. I know nothing about Joel Hanrahan other than what I read on Wikipedia. He has a career record of 11-9 with a high 5.30 ERA considering he was once a closer. We will just wait and see. 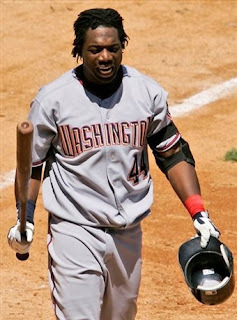 Lastings Milledge is going nowhere fast. What a waste, Pitt!